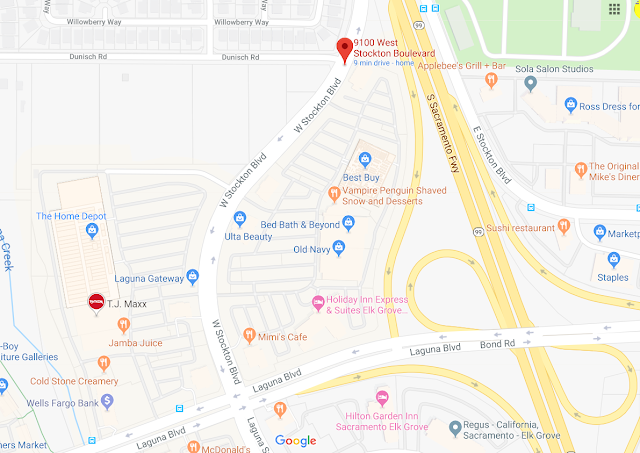 A delivery person at an Elk Grove shopping center was robbed while unloading merchandise from a work vehicle in a coordinated criminal attack. Just after 11:30 a.m. on Wednesday, April 11 the victim was unloading packages from his work vehicle on the 9100 block of West Stockton Boulevard when two male suspects quickly approached him and pushed him away and stole the items. Then a third suspect grabbed the remaining packages. The first two suspects fled in a vehicle, while the other suspect fled in another vehicle driven by another person. The four suspects were described as Black male adults wearing dark hoodies and both vehicles as newer silver-colored sedans with paper license plates.